What do you think of when you hear the word “Torino”? I think of Turin, Italy (it’s called “Torino” in Italian) and Fiat sports cars built there over the years. I then think of the Clint Eastwood movie “Gran Torino”, which featured a 1972 Ford Torino not at all like our subject car. Our feature car is remarkable for its unremarkableness. 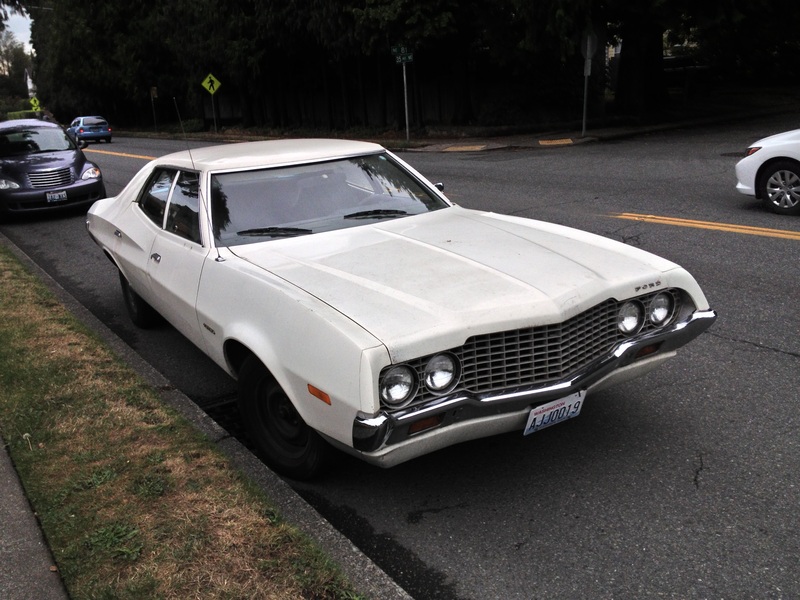 Seattle has a large population of driving restoration projects as may be evident by the number of “in progress” cars I seem to find Street Parked. 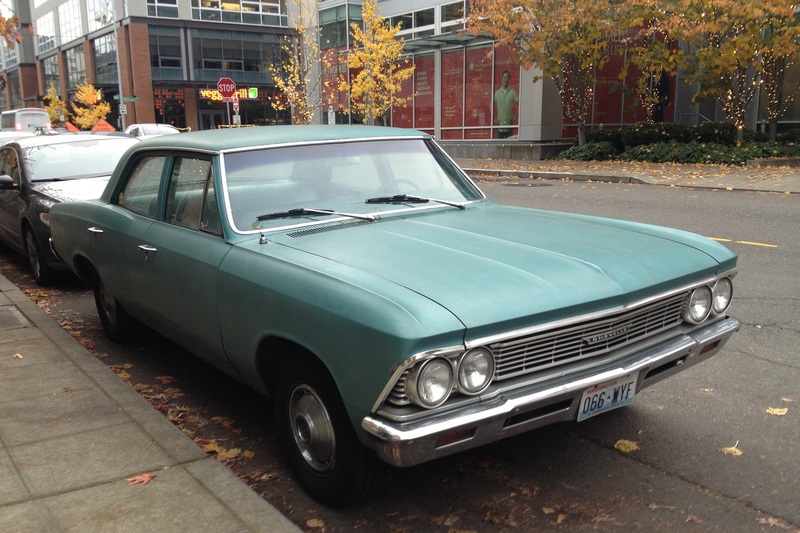 This handsome, ready to be painted, sedan is a 1966 Chevrolet Chevelle. The Chevelle nameplate was used on a wide variety of midsize Chevrolets, from coupes, to station wagons, to convertibles, and the legendary SS396 muscle car. The 1966 Chevelles are favorites of mine because they have a cool shark nose style. This car is a legend among 1980s sports cars and needs little introduction. 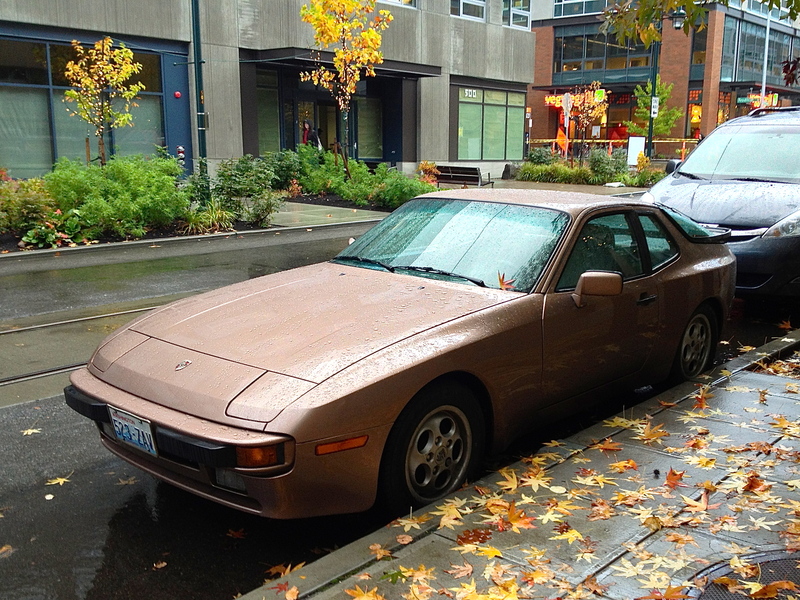 As a high school lad, I dreamed of having a 944 as my “do it all” sports utility car. The space offered by the hatch would allow me to carry anything I might ever own, and the Porsche pedigree would allow me to satisfy my hooning needs on curvy back roads. What more could one ask of a car? 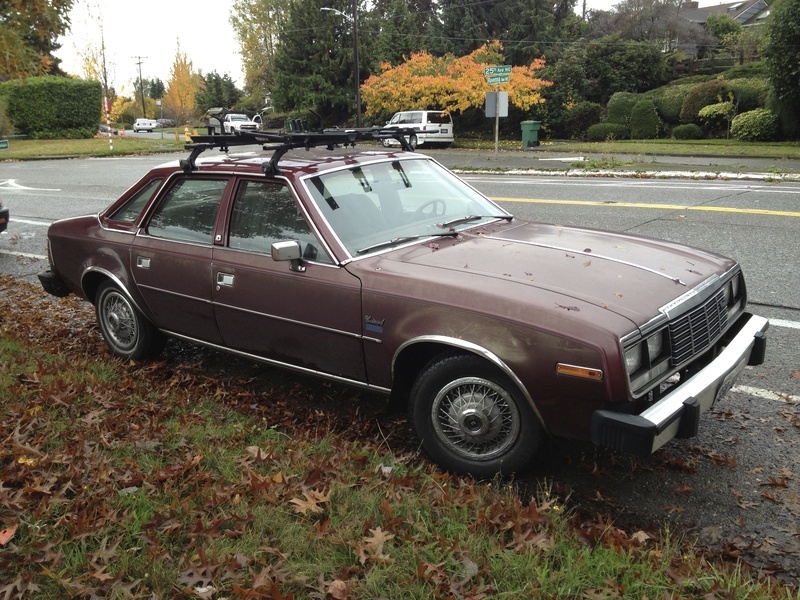 Ordinary cars from the mid 1970s to the early 1980s are becoming more rare with each season that passes. This run of the mill in its time AMC caught my eye for being the first one I recall seeing in over a decade. AMC sold a variety of mid sized cars in the 70s and 80s, the most famous perhaps being the AMC Eagle four wheel drive station wagon. Our subject car is nothing special, just a humble sedan. However it has an interesting story with connections to Porsche and the little known VAM Lerma. World War Two presents a problem when trying to identify the age of cars made in the years immediately before and after. Built between 1941 and 1947, this truck is probably a 1941 or a 1946 as none were available to the public during the war years. However, it could be military surplus sold after the war, with untold stories of wartime service driving the Burma road or chasing Patton east through Europe. There’s no way to tell, so I’m calling it a ’46. 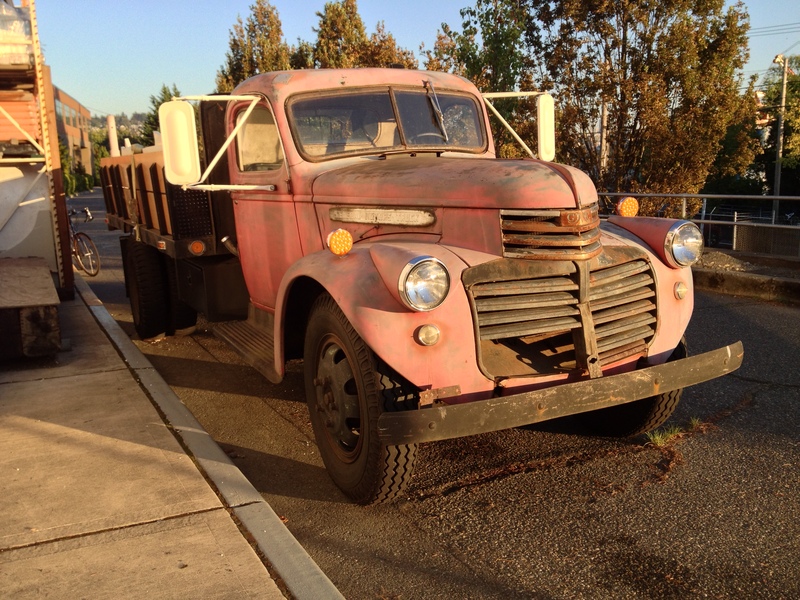 This 68+ year old truck still works for a living. The Opel GT is an eye catching little car made from 1968 to 1973. 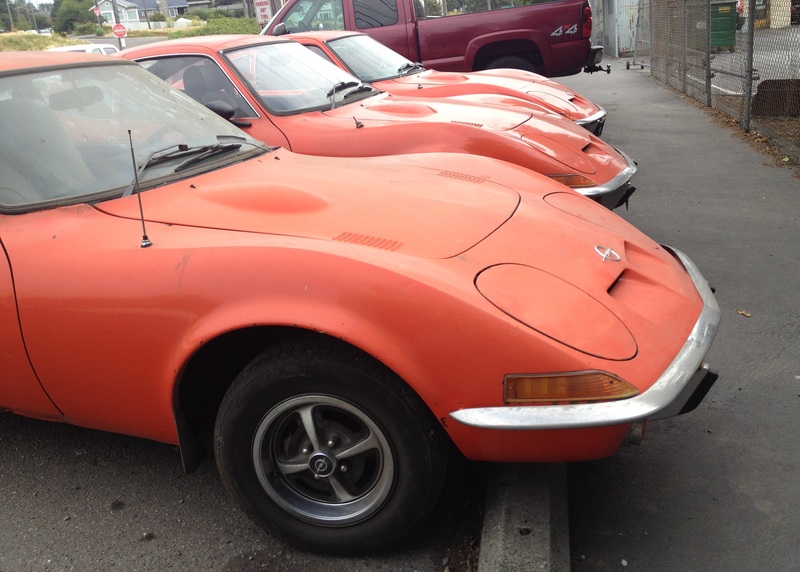 Seeing three orange Opel GTs parked next to each other is neck snapping.